Soo and Jay are the proud parents of little Porter, three weeks old. They wanted a session so they could send out some beautiful photos of Porter in their holiday cards. 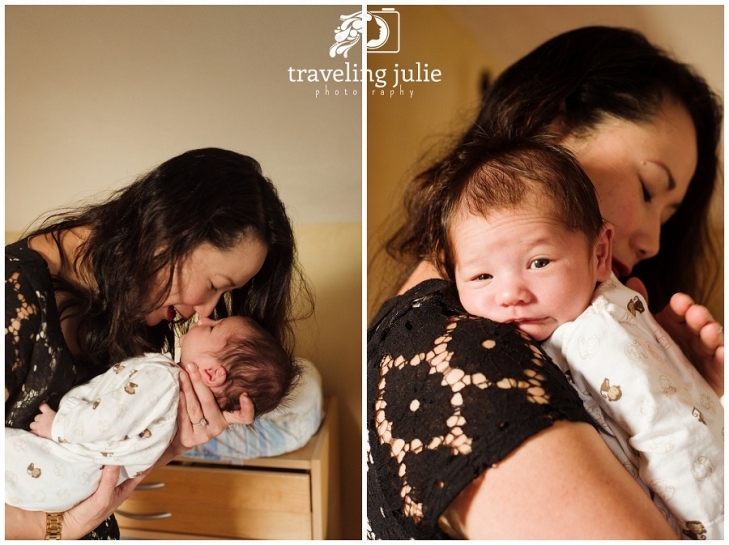 So we did a lifestyle newborn session in their gorgeous Portland home (which dad Jay, a contractor, helped remodel). Doesn’t Soo look fantastic? Three weeks post-baby! They all seemed pretty relaxed and into a groove with their new life as three. I’m pretty sure I was not nearly that peaceful three weeks post-babies. 🙂 Porter was sleeping and eating when I arrived, and usually babies go to sleep after they eat. But when Soo put him down, he was wide awake and stayed that way! And with new babies, you just have to go with their flow! He was very calm, just wanted to look around at his surroundings. No problem–we got lots of beautiful shots of his cute, alert expressions. 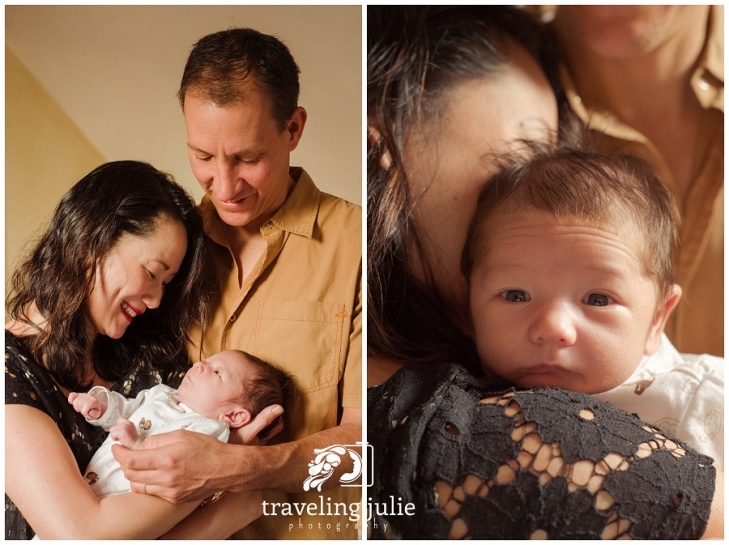 This is one of my favorite images–this lovely family all together, mama and papa gazing adoringly at their new baby. The love just oozes through, don’t you think? It’s so easy to forget how small babies are when they’re new, isn’t it? I can’t help but coo and gush over every little baby I meet, and Porter was no exception. So tiny! So adorable! Still had that fuzzy newborn skin. And oh, the tiny feet just slay me. It’s so cliche, but so true–they grow SO FAST. I love capturing these details and moments now, fleeting as they are, so that the family will have them to remember forever. We did aim a space heater toward Porter when he was on the bed by himself. Cold babies are unhappy babies! So the warmth helped keep him calm and happy. Monkey hat!! Aah, so adorable!! What a beautiful family! Thank you so much, Jay, Soo, and Porter! 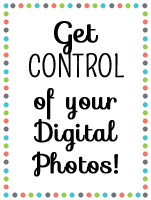 Sign Up for Your Free Guide to Organizing Photos!